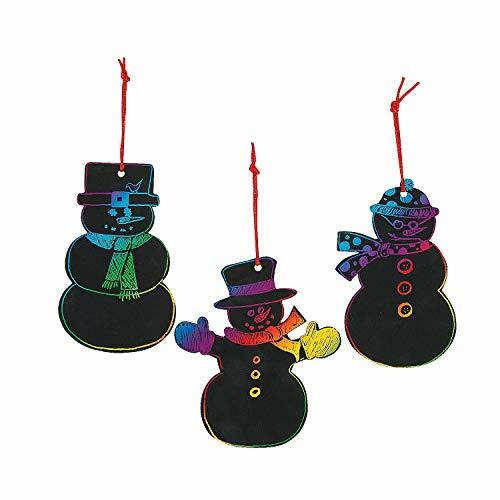 Magic Color Scratch Snowman Christmas Ornaments. The rainbow of colors magically appears when you scratch! 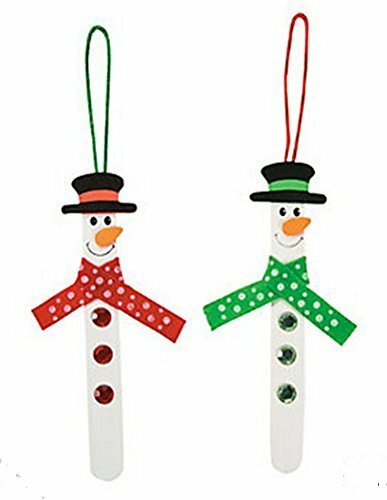 In festive snowman shapes, these Christmas tree ornaments will add some homemade holiday cheer to your Christmas tree. A great art activity for day care or preschool students! (24 ornaments, 12 scratching tools and 24 satin ribbons per unit) 5"
Includes plastic beads and metal jingle bells on a 30" cord. Includes wooden and metal beads. 30" cord. All craft kit pieces are pre-packaged for individual use. Kits include instructions and extra pieces. The perfect holiday craft! 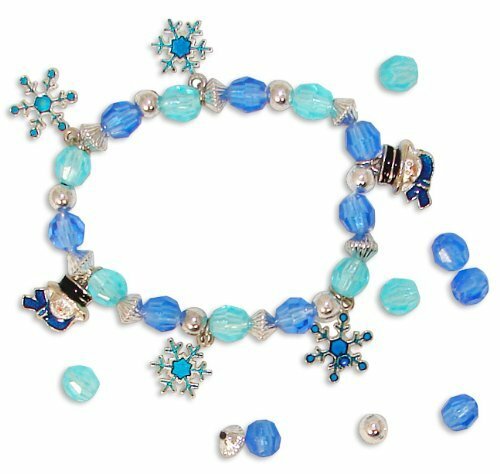 This kit makes 12 beaded snowman bracelets! Throw these individually wrapped craft kits into the Christmas stockings or use them as a fun craft project on a cold winter day. Age Recommendation Ages 8 & Up: Containing many pieces of all shapes and sizes and made from a variety of different sturdy materials, some of which include sharp edges or points, including glass beads, ceramics or metals. Activity may require weaving, beadwork, knotting or special glue. 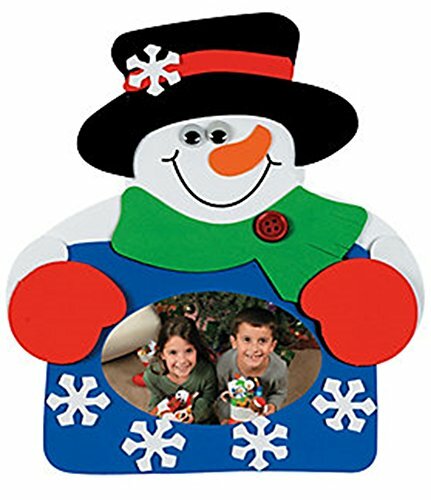 Snowman Picture Frame Magnet Craft Kit. Have a "hobby" holiday! 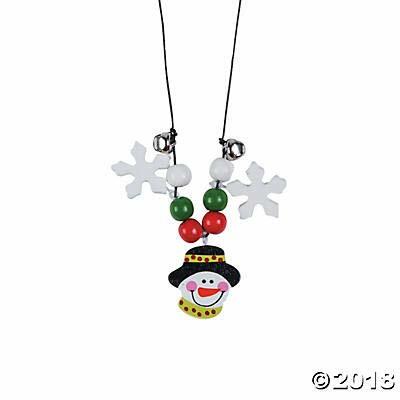 This dapper snowman proudly displays a snowflake frame, ready for your snow angels' pictures! This holiday, gather the family to craft these foam magnetic photo frames so you can gift grandparents and friends with your homemade "presence"! 8 1/4" x 9 1/4"; holds a 4" x 2 1/2" photo. All craft kit pieces are pre-packaged for individual use. Kits include instructions and extra pieces. 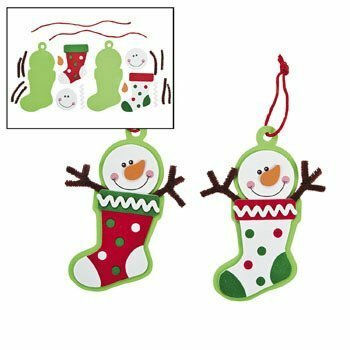 12 ~ Snowman Stocking Christmas Ornament Craft Kit ~ Approximately 5 1/2" ~ New In Sealed Package. Makes 12 - Look what was stuffed in your Christmas stocking! 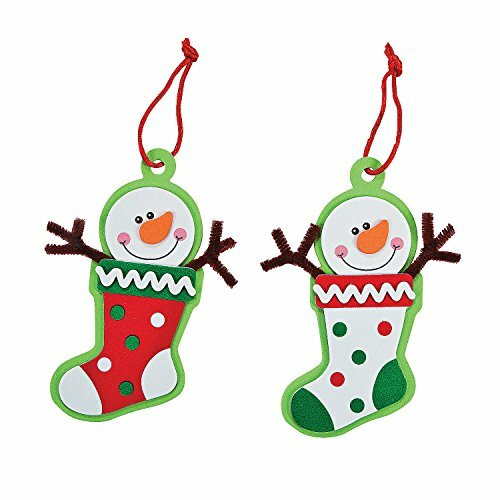 With this Snowman Stocking Christmas Ornament Craft Kit your children can make a Frosty friend to hang on the tree! 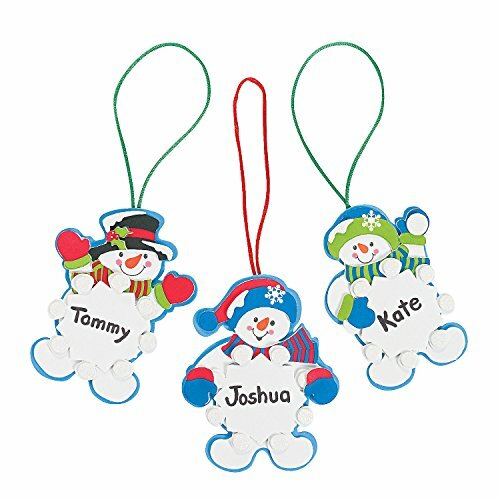 This beautiful decoration is a perfect holiday keepsake that you and your loved ones will cherish for years to come. Includes self-adhesive foam pieces. 5 1/2"